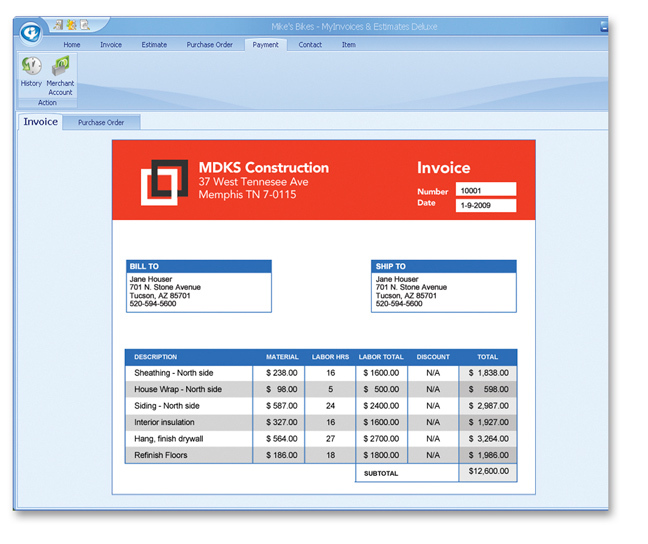 Select an invoice style that’s right for your business with the easy-to use Invoice Wizard. Enter company, customer, and sales tax information. Print on pre-printed forms or blank paper or email your documents to customers with customized subject lines and personalized messages. Give your company a professional high-quality image with a matching set of invoices, estimates and purchase orders. Easily receive and track payments. With MyInvoices, you can change invoices to estimates in one click, accept credit cards, include PayPal® link in your email messages to customers, and control cash. MyInvoices lets you view unpaid and past due invoices at a glance, charge interest to overdue invoices, send collection letters, and quickly review billing history. 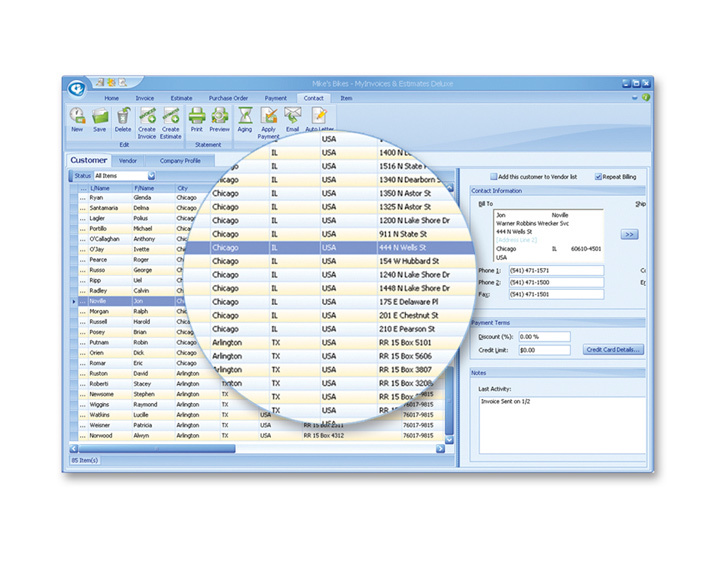 Evaluate your business with over 30 comprehensive reports, including Accounts Receivable, Cash Receipts, Current Inventory, Invoice Journal, Sales by Customer, and more. 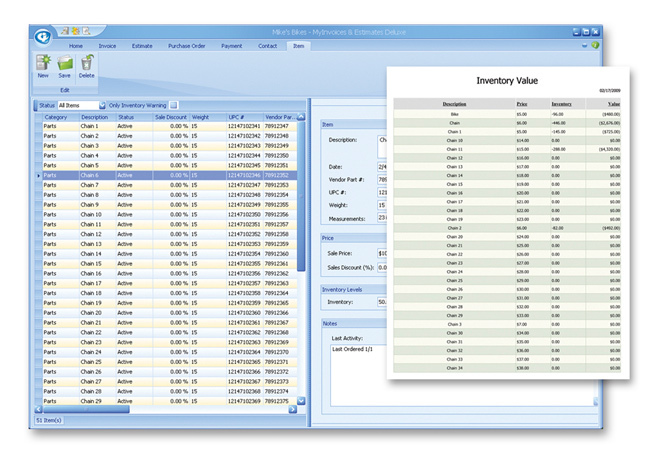 Automatically keep billing and shipping information, include discount data and set individual credit limits. 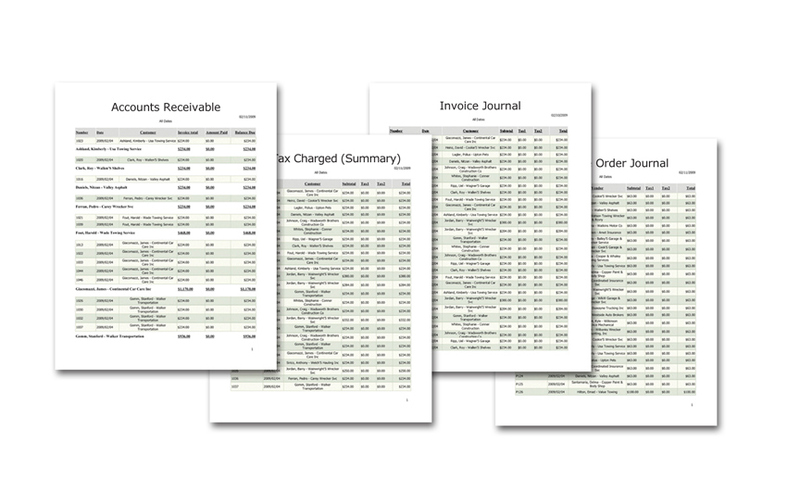 MyInvoices includes repeat billing for faster invoice creation. Automatically keep billing and shipping information and include discount data and set individual credit limits. 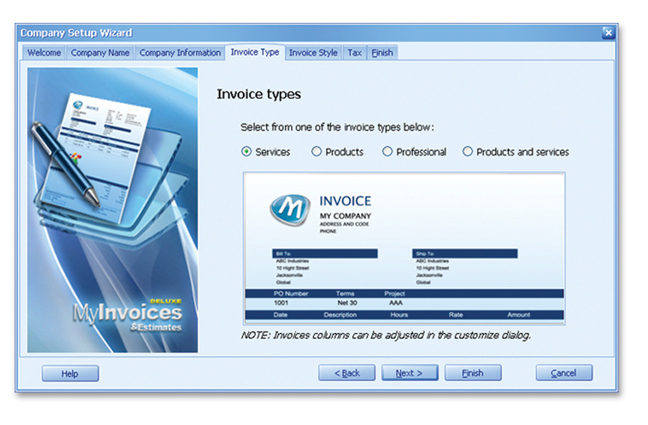 MyInvoices includes repeat billing for faster invoice creation. 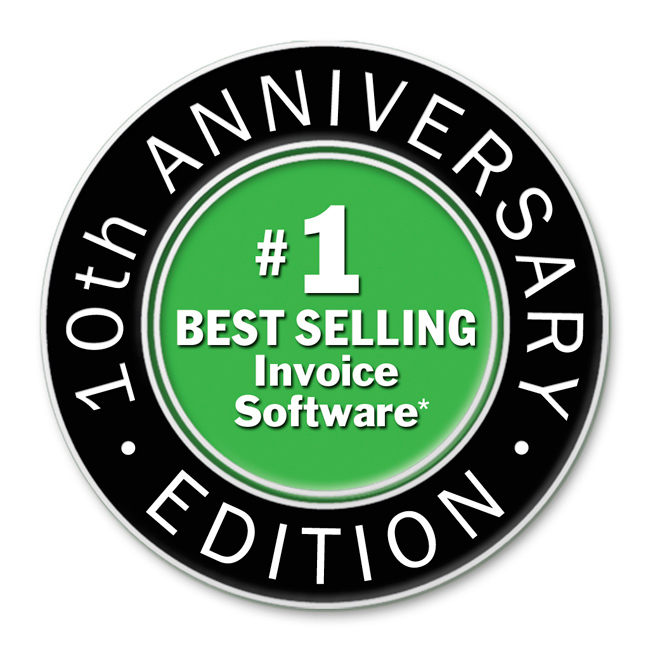 Best of breed software - #1 best selling for the last 10+ years! 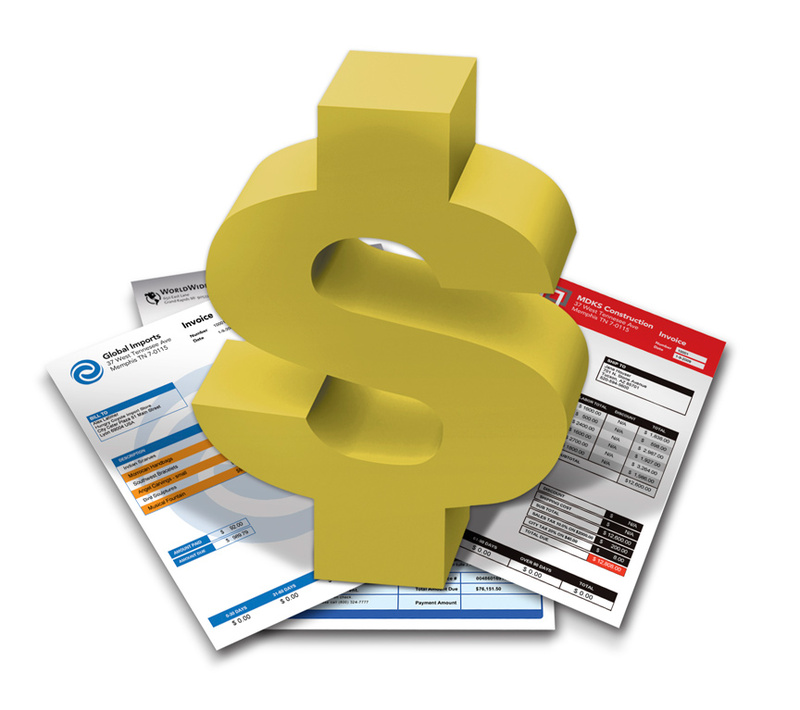 Affordable - All your billing and cash collection tools for just $39.99! 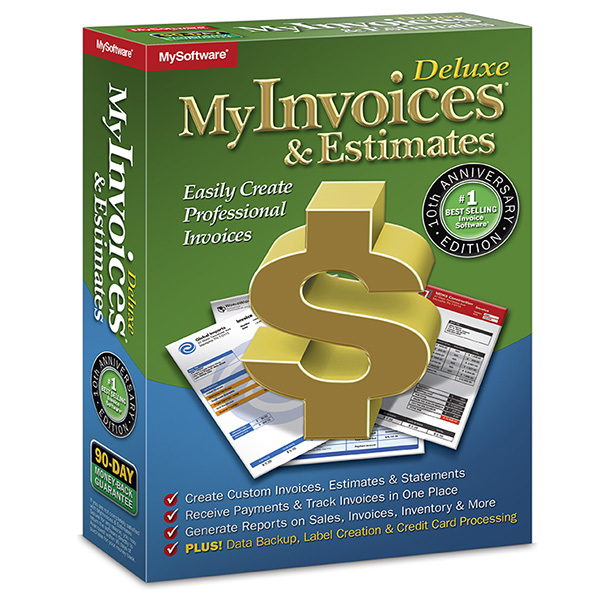 Time-saving and easy-to-use – create invoices and estimates in minutes! Database Backup Software for automatically backing up your critical data is include in the enclosed program CD. (Boxed version only). Database Back up software is embedded in the download version. MyLabelDesigner SE Software for creating labels and envelopes is included on the enclosed program CD. (Boxed version only). MyLabelDesigner software is embedded in the download version. 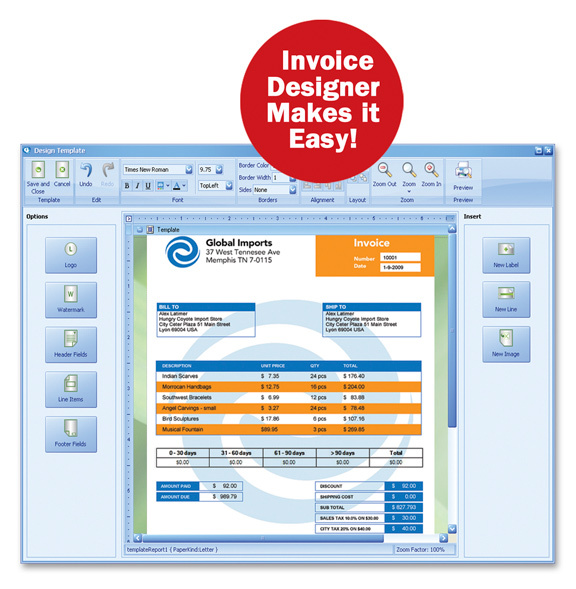 Use pre-printed forms from www.mysoftwareforms.com to print invoices from MyInvoices & Estimates Deluxe. 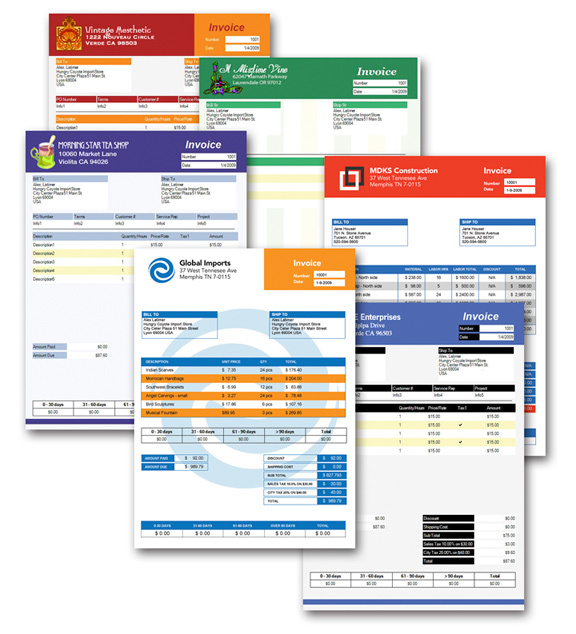 MyInvoices & Estimates Deluxe supports the following pre-printed forms from MySoftware Checks & Forms. 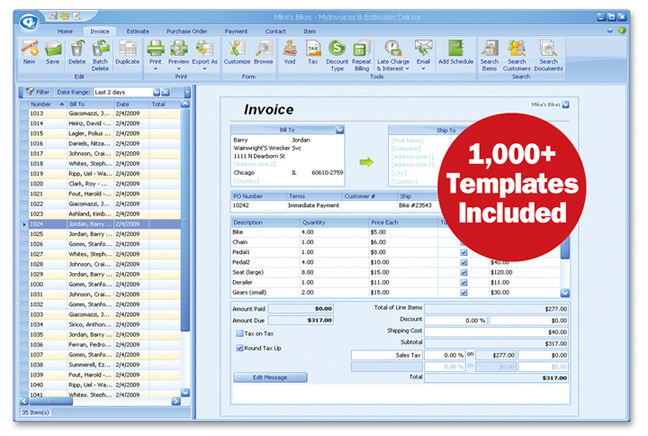 Visit www.mysoftwareforms.com today and get 125 pre-printed invoice forms FREE!